Materials Used : Copper Alloy Non Ferrous Alloys , Copper is 319 type or BS 249 type. Brass natural, Electro-Tinned, Nickel etc . 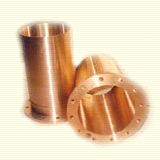 We Can offer Copper Machined Castings Parts From 10 gms to 30 kgs in Weight and Upto 1 Meter In Length. 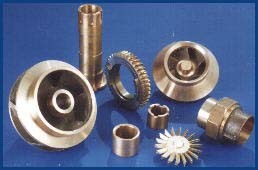 Finish and Coating : Natural, Nickel Plated, Tin Plated Or Any Coating.